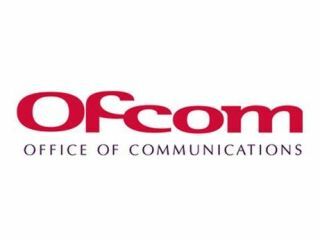 Ofcom has published a consultation surrounding its upcoming auction of 4G mobile spectrum in the UK. The new spectrum is intended to provide capacity for 4G data which, Ofcom says, should bring mobile web speeds close to those of current home broadband internet. Don't get too excited though – we're not going to see the auction happen until early 2012. There are two spectrum bands up for grabs; 800 MHz, which will have greater capacity thanks to the digital TV switchover and can widen existing 2G and 3G coverage, and the 2.6GHz band which allows for the higher-speed 4G mobile data speeds. Ofcom launched the consultation because it believes there are competition issues surrounding the impending auction; because there is only limited spectrum available, there's a possibility that the big networks – like EverythingEverywhere, O2 and Vodafone – could use an open auction to bid strategically and block out other smaller bidders, like Three. The regulator wants to ensure that each of the four national mobile networks win the minimum amount of spectrum necessary to offer 4G services, and has also put forward 'safeguard caps' that will stop any one network from grabbing a lot more spectrum than the other players. Another caveat that Ofcom wants in place is that successful bidders have an obligation to provide mobile broadband to cover 95% of the UK population by 2017, which should see rural coverage improve. What Ofcom has released today is simply an assessment of the proposed auction; there's now an opportunity for interested parties to respond to the consultation before the auction itself takes place in Q1 2012. Although the UK is already lagging behind countries like the US and Japan which already have 4G networks in place; but taking the time to ensuring that we have competition among our four networks will benefit UK customers just as much in the long run as a better data service.